We are doing the mega pack for Feed My Starving Children on Friday, February 24th. Please let Deb M know if you would like to join us. Friends and family are welcome too. It's just north on 169 about 10 minutes. They will be collecting canned goods and donations. As a group we are making a donation of $250.00, but other help is appreciated. 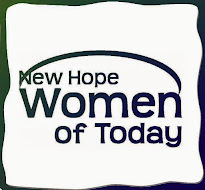 Email Deb M at Membership@NewHopeWT.org for more information.